Whether you are an independent consultant or you run a much larger company, marketing matters. It's important to the success of your business. As marketers, you and I are convinced of this. But let's face it: online marketing isn't an “exact science”. It can be very difficult to determine whether or not your marketing investment of time, money and effort is giving you the results you want. You may love your new, beautifully designed website, but does it make visitors want to stay awhile and learn more about what you do and how you can help them? You may be crazy about your new email campaign, but how is it performing? How are your open rates? How's your click-through rate? When readers do click through, how many of them convert? Done well, marketing can boost your company's sales and profits beyond your wildest expectations. Done poorly, it can be a financial “black hole” that drains your company's cash flow. Needless to say, you want to do it well. So how can you tell if you are doing it well? The ultimate proof is in your conversion rates. That is, how many shoppers become buyers? Or in a B2B content campaign, how many website visitors enter your content funnel? Think about this: if your conversion rate is in the tank, how much does your pretty website really help you? How much does your huge email list matter? What do you care if you have many thousands of social media followers that “like” or share your updates if your online marketing efforts never help you make any sales? As you are striving to maximize your conversion rate and enjoy the highest possible marketing ROI, there are certain key marketing metrics you can and should measure. Today, we will talk about some tools that can help you do this very effectively. Keep in mind that you don't want to measure for measurement's sake. You want to measure your marketing efforts so you can observe your performance and make changes as needed. Is your email open rate low? If so, this is a problem you need to fix. Are new visitors to your website “jumping ship” almost as soon as they show up? You need to find out why, and you need to do something about it! Once again: measure relevant marketing metrics so you can take action and improve your results, not so you can collect a bunch of random numbers. Google Analytics: This is the most well known and commonly used of all the free website analytics programs. It's designed to help marketers optimize the results they get from their website. It offers website owners detailed statistics on traffic; it tells where the traffic came from, including traffic from search engines and social networks. It integrates with Google Adwords, helping users optimize PPC campaigns by, among other tactics, tracking conversion rates. Google offers an advanced premium version of its analytics program that is prohibitively expensive for most small businesses. The free basic version has more than enough features and advanced functionality for most small firms' needs. Crazy Egg:It's important that you gain an understanding of what visitors do while they are on your website. Do they leave almost immediately after they arrive? Do they arrive on a particular page? Do they gravitate to certain pages once they've arrived while totally ignoring other pages? These are the types of web traffic problems you want to become aware of and gain the upper hand against. Crazy Egg can help you. It's heatmapping software that claims to track users' eye movements. It lets you “see where people click”. Once you understand where visitors are clicking, where on your site they are NOT clicking, and how long they are staying on a particular page, you can make changes and measure their success. Crazy Egg is free to try out, and very inexpensive (as little as $9 per month) to purchase. Drinking from a firehose... That's how it can feel when you try to stay on top of your social media accounts and try to stay in touch and engaged with your online networks. Social media can be a very effective marketing tool; on the other hand, it can also destroy your productivity. If you make the decision to use social media as one of your online marketing tools, you need a program that will allow you to manage your activities effectively and efficiently. You need to monitor what is being said about you, your company and your brand. Tweetdeck is much like Hootsuite, but not as full of features and not geared to multiple social media platforms, as the name implies. It provides the ability to send out tweets and to follow keywords and brand mentions. With Tweetdeck, you can create searches and set up filters to refine the results of those searches. You also have the ability to manage multiple user accounts. Email is a proven tool that has helped many companies build online marketing empires. But to succeed at email marketing, you need to pay attention to some key metrics including open rates and click-through rates. It makes email marketing simple. 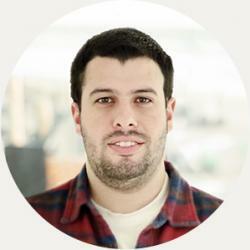 It enable you to analyze and optimize your email marketing campaigns quickly and effectively. It gives you the ability to conduct advanced A/B tests on your campaigns; you can test and gather valuable insight on different components of each message you send out including subject lines and content. With Doppler, you can generate real-time statistics and detailed campaign reports. Its integration with Google Analytics will enable you to analyze your email campaigns, so you can determine where you are succeeding and where your campaigns need to improve. Like we talked about a moment ago, the goal of taking the time and effort to set up and run analytics programs is to improve your marketing results, ultimately your conversion rate. A critical piece of your conversion equation is your landing page. You can analyze and gather data and run reports all day long, but how will that help you if your landing pages fail to pull their share of the conversion load? 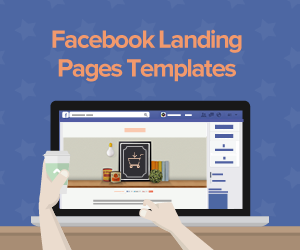 Whether you are running an E-Commerce store or you are conducting a B2B content marketing campaign online, you need landing pages. You need your landing pages to be set up with persuasive copy and eye-catching images that relate to the product you are selling. You need your landing pages to be as free as possible of the distractions that can cause visitors to abandon your page right before they make the decision to say “Yes” to your offering. And you need and want the right landing page platform. 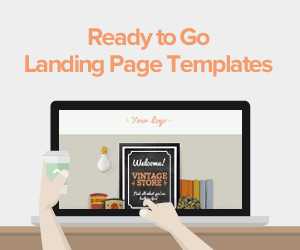 You want a landing page platform that's super easy to set up. One that's loaded with valuable features that give you lots of desirable benefits. In keeping with your commitment to using advanced analytics to fine-tune and supercharge every part of your online marketing campaigns,you want a landing page platform that offers you advanced A/B testing capability. 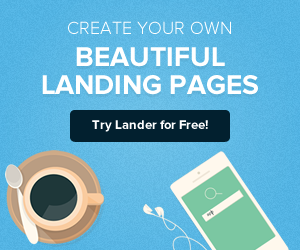 You want a landing page platform like Lander. Lander has proven itself over and over and has become very popular. We have more than 25,000 users in over 132 countries. Lander offers you valuable features like Google Maps integration, a built-in countdown timer and video support so you can win even more new customers. 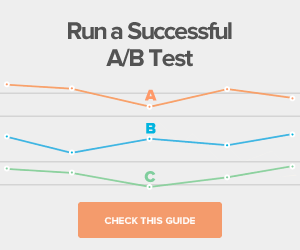 Lander also features advanced A/B testing capability that will help you can refine your marketing tactics. You can measure changes of text, images, layout and calls-to-action. You can make decisions based on real-time split-test feedback. And you can try Lander out for free. Got any question? We've got answers, and we'd love to hear from you!